Our Summer Issue is Available Now! Grain issue 45.4 is titled of memory, and features work by Charmaine Cadeau, Michelle Contant, Ruth Corkill, John Donlan, Griffin Epstein, Susan Haldane, hannah harris-sutro, Alan Hill, Cynthia Holz, Aaron Kreuter, Evelyn Lau, Maryann Martin, Sabyasachi Nag, Bradley Peters, Rebecca Givens Rolland, Melanie Schnell, Judy Smith, Glen Sorestad, Leona Theis, Meg Todd, Petryna Venuta, Yilin Wang, Elana Wolff, and Jenny Wong. 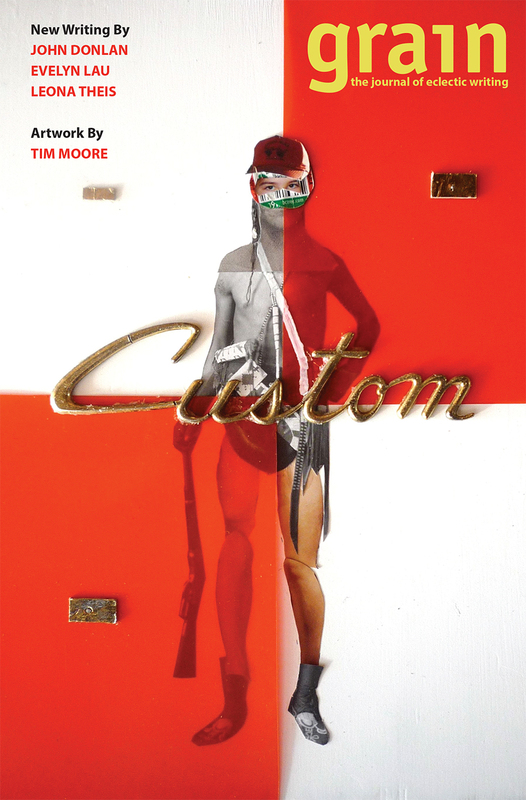 Artwork featured in the issue is by Saskatchewan artist Tim Moore. Buy your copy now in stores where litmags are sold, on our website, or subscribe today to save 37% off the newsstand price!